Our system connects all the crewing, reporting and compliance management data. It allows you to draw new conclusions and unlocks greater knowledge about your shipping company. See how our PMS can help you! The planned maintenance in the CODieBOARD# maritime-management-center uses interlinked equipment parts. Therefore, you only need to change, for example, a single data field, and it will be updated with the same change on all vessels with the same equipment. Company updates regarding parts and jobs become much easier. The planned maintenance system enables you to design and create as many separate part trees as you like and to restrict them. Create fixed class defined part trees or create user defined part trees for your captain and chief. This concept also allows you to manage a large number of additional items at will. 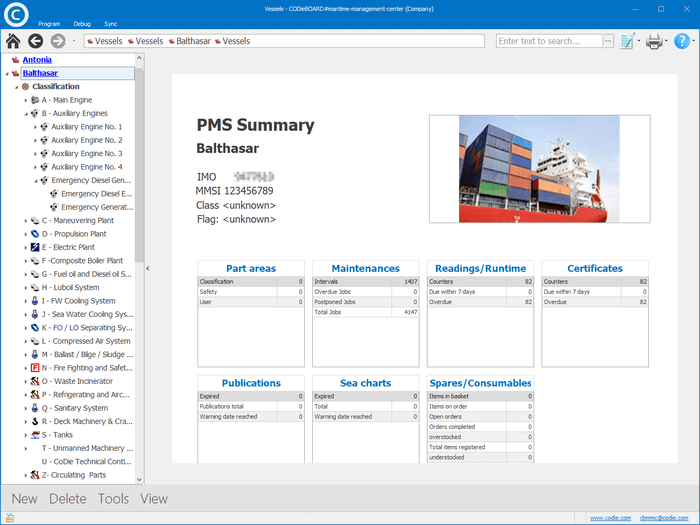 With our PMS module we aim to reduce the administrative workload on board your vessels. Our software bundles maintenance jobs together if they are connected – an example is a piston overhaul report, where all other piston-related jobs (like visual check of the piston rings) are reported and reset too. We are going to create a PMS which is easy, fast and customizable for every user. Now you can become our development partner. Are You Afraid of Change? Don't Be! We Can Convert Your Data! CODie ISMAN is our current PMS system and is running on board approximately 350 vessels, it has been in circulation for 20 years, and now we can finally announce the next big step: implementing our PMS in our new Maritime-Management-Center. And still the new ideas and possibilities queue up to become implemented..
We have created an import function to transfer all your data from the current system into the new one. So you can purchase CODie ISMAN as your next PMS software and receive an upgrade for free later. 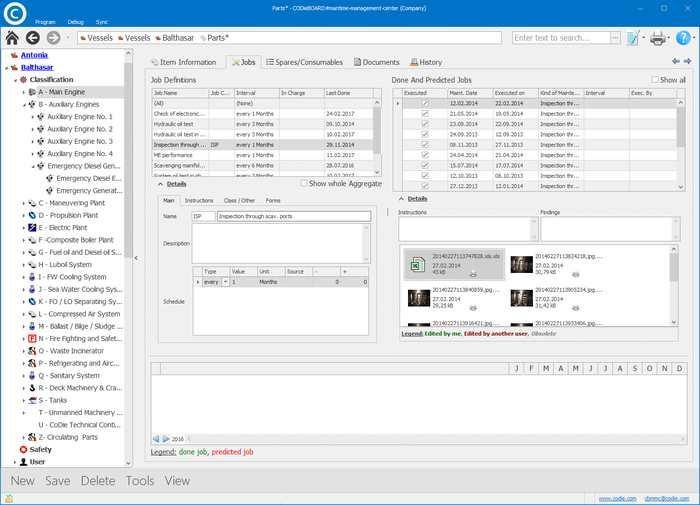 A maritime planned maintenance software with combined spare parts and consumables management, interlinked to all other modules, like purchasing and crewing. It was developed on board ships and its predecessor CODie ISMAN was even used in the German Antarctic Research Station. Our planned maintenance software uses part trees to keep track of all your equipment and warns you automatically about due maintenance jobs. In addition, you can keep track of all counters and running times. Furthermore, you can attach manuals, photos, checklists, and more to every single job. It’s suitable for both vessels and offshore platforms. and appoint us for an online presentation. Learn about all highlights in just 10 minutes! We provide full handling of crew, certificates and payroll. A third party login gives your agencies the ability to update their crew details. 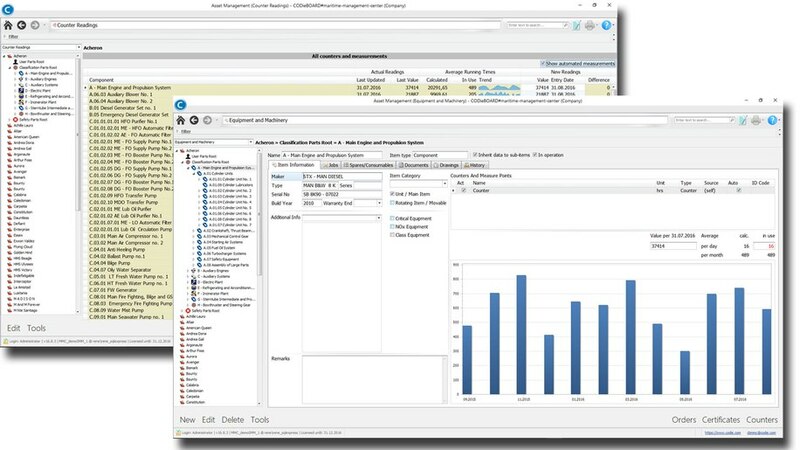 Now your staff will love handling ISM/ ISPS documents. Our editor is easy to use and distributes automatically to your fleet. Build your own reports! Managing your fleet’s findings, incidents, claims and more was never easier.